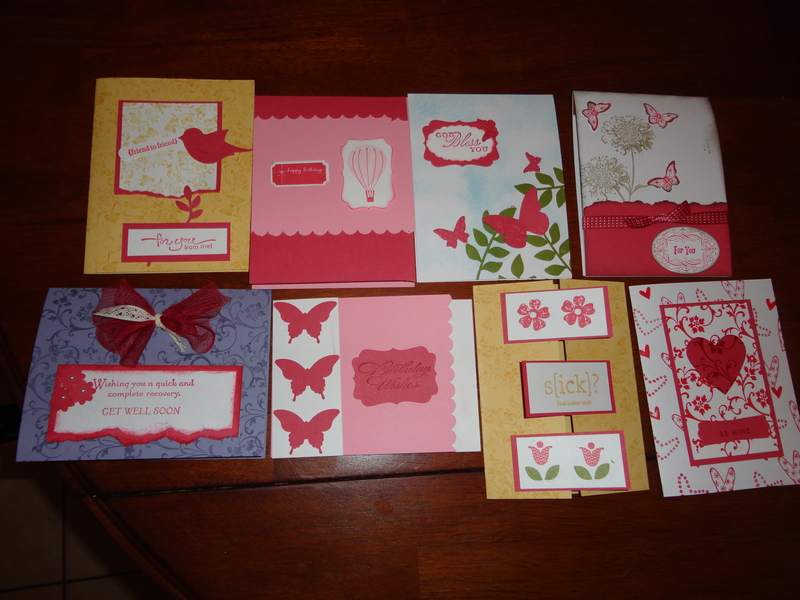 These are the cards we made for my January cards in a flash class. I found this great technique from Connie Stewart where use one sheet of colored cardstock, one sheet of neutral cardstock and four sheets for the card bases. These are cards are fast to make so if you need a card in a hurry you can run up to your stampin room and create one before you know it. I used Primrose Petal for my colored flash pieces, So Saffron, Wisteria Wonder, and Whisper White for my card bases.